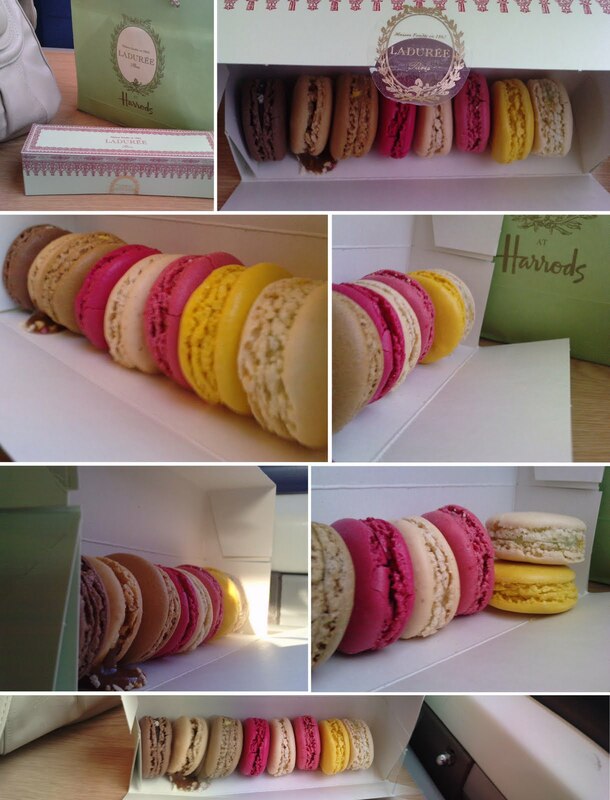 On the way back from London I got stuck on a suspended train with only a box of Laduree macaroons (I wasn't allowed to eat) and my camera to amuse me... its lucky macaroons are so pretty! Yummy yummy yummy! The flavours I got were from left to right: Chocolate, Salted Caramel (especially for me), Coffee (especially for him), Red Fruits, Vanilla, Raspberry, Lemon and Orange Blossom. We've only eaten half of them so far but they really are delicious!